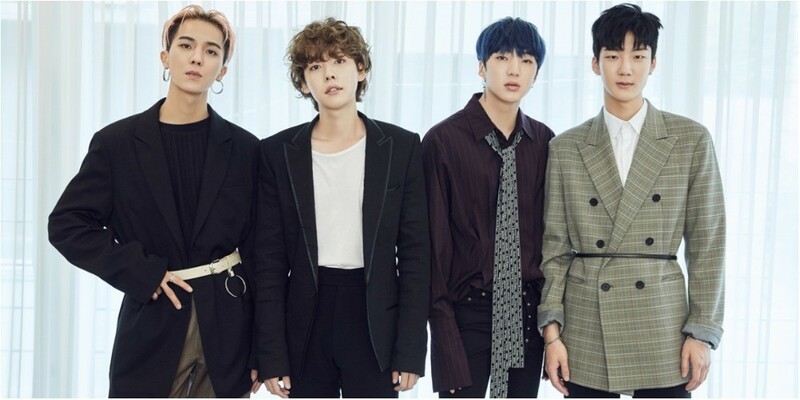 WINNER talked about the image change for the new album 'EVERYD4Y'. In a recent interview for their comeback, Song Min Ho revealed he lost 10kg (22lbs) and said, "I naturally lost weight because I skipped meals while preparing for our tour and album. So I decided to go on a diet since I've already lost some weight." He continued, "Honestly, I was the heaviest member among WINNER but now I'm the lightest. So I tease Kang Seung Yoon, calling him a pig and there's this pleasure that comes from it." Kim Jin Woo also talked about his image change with the new curly hair. He said, "I have a lot of interest in hair so I search it up often. And I actually test it out and this style seems to be the best. I got this style from a British actor."